“Probably end of next year,” the chief executive officer of Tesla replied to a South African fan on Twitter, who asked him when a store would open in the country of the businessman’s birth. “Amazing - I’m first in line when it happens!” replied the individual. Tesla has stores across the globe, including the US, Germany, China and Australia. But it has none in Africa, which has been broadly left out of the electric-car revolution Tesla pioneered. Lower average incomes and poor power infrastructure mean petrol-powered cars - often bought second hand - dominate most markets on the continent. South Africa is Africa’s most industrialised economy, but it’s not immune to those challenges. Cash constraints and delayed power plants at state utility Eskom have led to rolling blackouts. While it’s not unheard of to see an electric car on the road, they remain the preserve of the super-rich, and charging stations would be hard to come by. 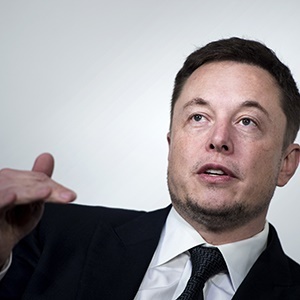 Musk, 47, left South Africa for Canada after graduating from high school in Pretoria in 1989, still five years before the end of apartheid. But the self-made billionaire and founder of Space Exploration Technologies is still well known there. Opening a Tesla store in the country could be a popular move.